Jacqueline Fernandez’s pole dance in Race 3! Bollywood actress and pole dance expert Jacqueline Fernandez is presently shooting for action-thriller Race 3. Helmed by Remo D’souza, the movie also stars Salman Khan, Anil Kapoor, Bobby Deol and Daisy Shah. The actress is a very respectable dancer. She had uploaded some videos showing off her pole dancing skills that astonished her fans and admirer. Well, not only the admirers, even the makers of Race 3 are mesmerized by her pole dancing skills. Therefore, they have added a pole dance by Jacqueline in the movie. For the same, the actress had taken tough training for months to master the art of police dancing. ← Kareena’s bohemian side at Amrita’s 40th birthday party! 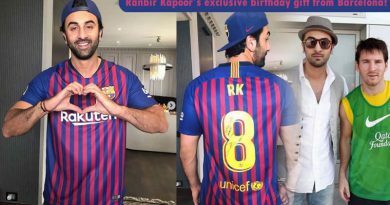 Ranbir Kapoor’s exclusive birthday gift from Barcelona! Daisy Shah and Saqib Saleem’s new Jodi for Salman starrer Race 3! 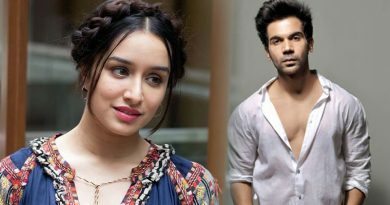 Rajkummar Rao to romance Shraddha Kapoor first time in a horror comedy!